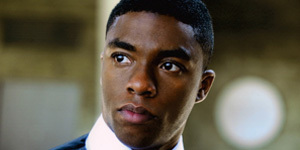 Rumor: Chadwick Boseman to be Marvel’s Black Panther? Iron Man 3 opens on Friday, and it marks the beginning of Marvel’s long awaited Phase Two, which will include Thor: The Dark World, Captain America: The Winter Soldier, Guardians of the Galaxy, and culminate with The Avengers 2. But it looks like Marvel may already be looking ahead to Phase Three. 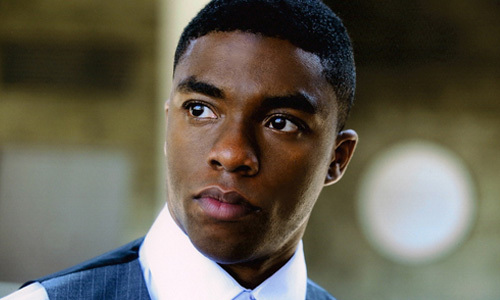 Latino Review is reporting that Chadwick Boseman, who played Jackie Robinson in the recent film 42, is on Marvel’s shortlist of actors to play the title role in a Black Panther movie. While nothing has been confirmed by either Marvel or Boseman’s reps, Latino Review’s track record gives it credibility when it comes to these types of reports. A Black Panther movie has been in the works for some time, and writer Mark Bailey was hired a few years ago to pen a script for the film. While the movie has yet to get a release date, let alone a director, it looks more and more likely that the Black Panther will be an integral part of Phase Three, which will start after the release of The Avengers 2 in 2015. If Boseman’s casting gets announced sooner rather than later, you can expect to see a Black Panther cameo at some point in the coming years, perhaps in The Avengers 2.